In most cases when something is said to be empty there is usually a negative connotation for instance “my fuel tank is empty, the wine bottle is empty, the treasury is empty etc. On this day however the word EMPTY takes up a triumphant and victorious character. When very early in the morning on the first day of the week some women went to the tomb with some spices to anoint the body of Jesus they found out that the stone used to close the mouth of the grave had been rolled away and going in they found the tomb empty; they were confused and disappointed. 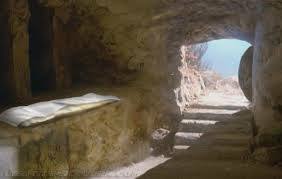 But two angels were on ground to tell them that the one they seek is alive and not among the dead; hence that the tomb is empty is after all a wonderful indication that the Lord has risen to life. From the event above we understand emptiness from a different perspective. It speaks of a plus instead of a minus situation. In fact there is more to it than the absence of our Lord Jesus Christ from the tomb. When humanity failed in Adam we became empty by losing our connection with God. To vouchsafe our redemption our Lord Jesus Christ emptied himself of his equality with God and took our human form (Phil.2:7-8).This he did so that we can be refilled. The tomb became empty so that our lives may be filled with the power of the risen Lord. Furthermore the emptiness of the tomb is an indication of the futility of life without Jesus Christ. When Jesus Christ is absent from any segment of our lives we wallow in abject and senseless emptiness. Attentive to this the preacher said “vanity upon vanity all is vanity” (Eccles. 1:2; 12:8). The empty tomb is also an indication of the futility of the power of the devil. It shows that the promises of the devil are but empty promises (Luke 4:3-13). By his resurrection Jesus emptied our lives of sin and evil and filled us with good things. (Psalm 107:9; Rom.15:13). Arguments for and against the empty tomb had preoccupied biblical scholars for a long time. It will amount to recycling issues if we jump into that this night; in fact the joy at the resurrection of the Lord is so much in me that there may not be any chance for such baseless arguments. It will be more gainful to explore what actually happened between the time of the burial of Jesus Christ and his resurrection on the third day. When Jesus died his body was buried in the tomb but his spirit descended into hell (as we proclaim in the creed: “He descended into hell”). The hell referred to in this passage is not the lake of fire described in the book of revelation (20:14). Hell as used here refers to hades which in Greek means a place of the dead. We see this very clearly in the book of revelation (20:12) which tells us of the fact that the dead would first be judged before their fate is determined. St. Paul in his letter to the Ephesians (4:8-10) tells us what this descending into hell means and St. Peter supports his view (I Pet.3:19) by telling us that he descended into hell to preach to the souls there. It is our belief that nobody entered into heaven before Christ’s ascension into heaven. This means that those who died with good lives before the resurrection of Christ were kept in the place of the dead. In the office of the reading today we have an ancient homily which describes how our Lord Jesus Christ went to wake Adam and Eve up from the sleep of death in the limbo of the fathers. He emerges with the tree of redemption (the cross) as contradistinguished from the tree of sin in the Garden of Eden. With the descent into hell our Lord accomplished the work of announcing the good news to all creation (Matt.24:14) because he alone qualifies to announce the good news to that realm. At this point it will be worthwhile to look into what the resurrection of Jesus Christ stands to effect in our lives. Put in another way what are the benefits of the resurrection of Jesus Christ in the life of an active Christian or what is rising from the dead (Mk.9:10). In I Cor.15:14-18 St. Paul did say among other things that if Christ did not rise from the dead we have nothing to preach and you have nothing to believe. He also said that if Christ did not rise from the dead then our faith is meaningless. Hence the rising from the dead is a confirmation of our faith and we are alive again. The resurrection of our Lord Jesus Christ is a clear indication of the fact that sin and death have been conquered. We are no longer subjected to the law of sin and death, because the law of the Spirit of life in Christ Jesus has set us free (Romans 8:2). The resurrection moved the stone of sin that covered us from receiving the light of God’s grace. There is a sense wherein we see the tomb as representing our hearts and the stone as sin covering it from divine contact. The resurrection of Jesus Christ removes this obstacle and we are given access again to God’s grace. a) From Stand-still: As children we have a game called “stand-still”. Those who play this game usually tell each other to stand-still and the person is expected to stand still or pause until the person releases you. There are actually many people out there who are standing still not because they want to stand-still but because the devil has orchestrated it in some ways. The power of the resurrection is releasing such people this night. b) Drop it for me: This is also another game we used to play as children as a form of a bet. In the game, if you are holding something and your partner in the game sees you the person will say drop it! And you are obliged by the rule of the game to drop it no matter what it is; no negotiation. There is no doubt that many people have been dropping things that should rightly belong to them by obeying evil suggestions. This situation is hereby reversed by the resurrection of our Lord Jesus Christ. From this moment you shall have what rightly belongs to you. c) Salute me: This is yet another game we played as children. Here you force allegiance and subordination from your partner in the game by being the first to ask your partner in the game to salute you. It is a fact that some people have been paying allegiance to the devil by failing to give God true and enduring homage and worship that pleases Him (John 4:24). With the resurrection of Jesus Christ this situation has been reversed. God alone deserves our attention and homage. 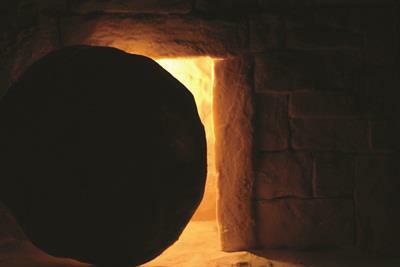 As the tomb lies empty, may our lives be emptied of evil and rot; as the stone was rolled away may the power of the resurrection roll away all known and unknown obstacles in our lives. As Jesus rose triumphantly, may we rise from all physical and spiritual entanglements. Interestin one.emptiness2 signify good not bad.